If you’re asking the question, “Why would I want to advertise on Amazon?” then you should probably start with my article on leveling the playing field on Amazon. But if you’ve moved past that stage and are thinking to yourself, “I should probably be advertising on Amazon,” then you’ve come to the right place. Equally, if you’re already advertising on Amazon there are some gems in here for you too, so stick with me. But seriously, can I advertise my stuff? Whether you are a seller or vendor on the platform (your relationship with Amazon is a whole other article worth of breakdown), you can advertise your products to millions of shoppers. The main thing to know is that your relationship with Amazon determines how and where you can advertise on the platform. 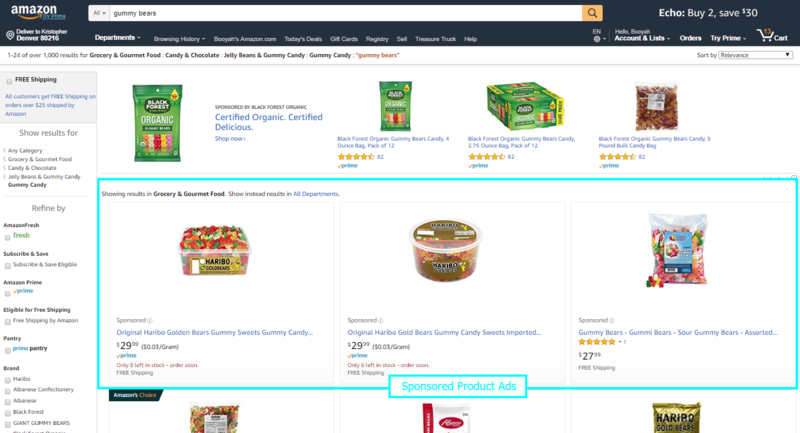 In this article, we are speaking strictly about advertising on the Amazon platform. The primary ways to engage with Amazon are either as a vendor or as a seller. Not surprisingly, Amazon does a funny thing in which they have named their advertising platform for vendors, Amazon Marketing Services (AMS), but not the advertising platform for sellers (no fancy acronym in sight). For our purposes, we will refer to Vendor Central Advertising as “AMS” and Seller Central advertising as “SC". 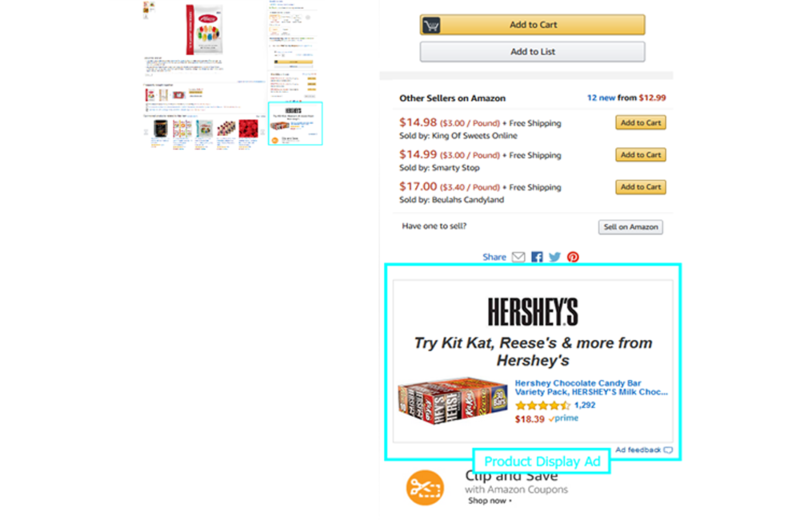 On the Amazon platform, there are three distinct ad units, or ad types, that you can utilize. All three of them are based on a Cost Per Click (CPC) model of spending. Sponsored Product Ads (SPA): Available to both SC and AMS accounts, this is the most prevalent and common ad unit on the platform. SPA Ads also tend to be a bit more cost effective from a CPC and return standpoint. Displays one product at a time, often your best seller related to the term that was searched. Appears on search results pages as well as on product detail pages. Great for gaining exposure while driving new customer acquisition. Best data transparency in comparison to the other two ad types. Largest reach by number of impressions available. Headline Search Ads (HSA): This ad unit is available to both SC and AMS accounts. Keyword level reporting is available for this ad type but there is no search term report to support analysis. Displays three of your products across the top, bottom, middle or side of the search page for a larger share of the search page “real estate” (much like a banner ad). Appears on search result pages only. Great for brand protection or awareness building on brand-agnostic keywords given the visual space that the ad unit occupies. 50 characters of copy available to communicate your offering. Product Display Ads (PDA): This ad unit is available to AMS accounts only. Seller Central does not (yet) have access to PDA ads. There is only campaign level reporting for this ad type with no keyword, location or ASIN level data available. Displays one product at a time below the Buy Box of another ASIN’s detail page. Great for direct conquesting of competitors and awareness building. Can also directly target competitor ASINs. As you can see, each ad type on the Amazon advertising platform has its merits. From a strategic standpoint, what’s most important is that you first define what you’re trying to accomplish with your advertising efforts. We call this objective-based management. Once you have defined your objectives, you can set out to allocate your budget across the ad types, using each one for a specific purpose that lines up with your objectives. Once you have this in place, you can start iterating and optimizing your ads to crush your Amazon goals. Sam Hager is a marketplace strategist and Amazon advertising expert at Booyah Advertising, a full-service digital agency. Hear more from Hager on leveraging advertising to sell more on Amazon. Watch the replay of our recent BrandCamp webinar, Navigating Amazon—A How-to for Sales and Marketing.